Hi, I’m Teressa Pence Morris. 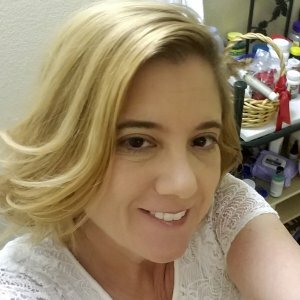 I’m a full-time psychology student, wife, mom and self-care coach. In October 2016, I moved with my husband and son to Oregon from California. The plan was to live with my in-laws until we found jobs and then get our own place. Unfortunately, it took me seven months to find a job. I was fired nine months later. At the same time, I was betrayed by someone who I completely trusted. I completely lost my joy. Fortunately, I was seeing a therapist. She has been a tremendous help. I realized that our move was a huge culture shock for me. Moving in with my in-laws was also difficult. I kept hoping for a change, but no change happened. Talking to my therapist, I realized that there were small things I COULD control, that would bring me joy, like taking care of myself and setting boundaries. I have been married to my very patient husband Art for the past 31 years. We have two beautiful adult children. We live in the Umpqua Valley of Oregon, with our youngest son, our two dogs, and Art’s elderly parents. In my free time (what free time?) I enjoy creating new recipes, reading, knitting and sewing, walking, yoga, and hanging out with my family. I started blogging in late 2010, just as a way to wrap my head around all the changes we were going through as a family. In 2012 I realized that people were actually interested in reading about my life, and took the blog professional. 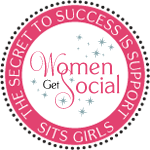 I am an expert in helping women reinvent their lives – I’ve reinvented myself at least 5 times!! I typically blog twice a week. Finding your joy through self-care is the key. To make sure you don’t miss my newest posts, you can subscribe via e-mail. It’s quick, easy, and you can unsubscribe at any time. You can contact me by email or follow me on Twitter or Facebook. Let me know if you like my eclectic style and what subjects you would like to read about next. Hi Teressa, When I was weeding out my 340+ emails today, I was intrigued with your subject line and had to check it out. After reading your post I was curious to see who was behind the words, which is what brought me here. I LOVE your honesty in your posts! I am going to mark this as one of my favorite blogs! Too many bloggers out there seem phony to me. Sorry bloggers! I don’t want to offend anyone, but life is NOT just sunshine and flowers all of the time. Teressa, you are doing all of us a WONDERFUL favor by being straight about everything. The good AND the bad. I thank you for that, from the bottom of my heart! BTW, I do suffer with chronic pain after two spine surgeries. The first was an event that would change my life forever. I’m still learning how to deal on a daily basis. (mostly with the emotional side of it) I am just now trying to wean off a pain narcotic that I DIDN’T want to take in the first place! My doctors thought it was best for me because the rollercoaster of up and down pain is worse for a person than taking a narcotic when pain is at level where you HAVE TO take something. I’m praying I can live without the meds now. I want to drive again! lol Anyway, I will definitely be back to visit your blog. Thanks again! I enjoy reading your posts & viewing real life from your perspective. Please keep writing & sharing your passion with the world. Thank you so much for following All About Lemon and for your continuous support. I highly appreciate this very sincerely. Enjoy your gift and have fun! Thank you for the gift!! I posted it in my sidebar. I appreciate your blog, and your POV… as a single disabled 45 y/o male with no children, yours is clearly different. I see some similarities as well, either from my own POV or from things related to me by others. I just want you to know, that your outlook is refreshing, and I look forward to your blogs. thank you so much! Thank you Crimson!! Your blog is so cute!! Love the background!! Teressa, Most stong women do not reconize their strength like yourself, you are resourceful, connected, motivated and loveing, but it is because of your strength and endless efforts. You have lived many lives already and yet are young. You are wise to try to understand your sons needs and who he is but don’t feel the need to explain to relatives their love for you will allow them to understand. Yes your health is most important, maintain it while you are still younger, losing 16lbs in two years is great progress and your routine benefits you daily. You are special and you are your husband were meant to go through life together. You have trust and that is not easily found. You are creative and have professional skills to earn income that can not be taken away. Maintain your healthly lifesstyle and focus on what you eat, treat your body like a shrine. You and your husband are strong survivers, this is easier than active duty during war time. Teressa- Good morning to you. I am so glad that I read the paper online this morning to see your story. WOW!!! You are both going through a lot of stuff. Much of it similar to our situation. I am so impressed by your honesty and faith in the midst of all the upset. You reminded me again that sometimes you are thrown curves in life and that if you have love and faith in your God, it is somehow a bit easier to deal with. HE will make sure you have what you need in this life. It might just have to take a little bit of struggling to realize that. May God bless you and Art and the boys. May you realize you are more of an inspiration to others than you may know and that you will get through this. All the best to you Terresa. You are brave.